The gift of a fruit & gourmet basket is a great way to tell someone you are thinking of them or to celebrate a special event. 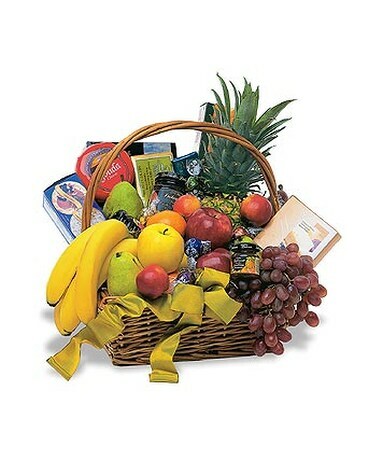 Send a specially designed basket filled with the day's freshest fruits and gourmets best foods. *Fruit & gourmet selections will vary. Items shown are an example of fruit & gourmet only. *All Fruit, All Gourmet, or Fruit & Gourmet Available.